Invite the special people in your life to celebrate your union with these plantable wedding invitations. When the lucky recipient plants the plantable invitation, wildflowers grow right out of the seed paper. Each plantable wedding invitation is made with post-consumer waste and annual and perennial wildflower seeds for an eco-friendly plantable invitation choice. 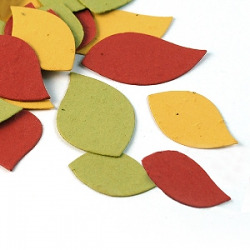 Read about how plantable paper works. Designed by Kal Barteski.